I ordered it spicy with the wild salad and chick peas. Sooo good! My favorite gyro truck yet, the lamb was cooked perfectly and it had the perfect amount of spicy. It was a little bit smaller than what you get at Tasty Kabob but has more than enough flavor to make up for the smaller size. The food looked good from the street but I couldn't buy any because they are cash only. I was really wanting to try them because Tasty Kabob is mediocre at best. Next time I have cash I will give you a try. The best kabob truck in town. Friendly staff and great food. Pita bread is tasty. Good mix of lamb, feta, sauce, tomato, lettuce, etc. Good portion size as well.Best of the kabob trucks without question. Pita bread is tasty. Good mix of lamb, feta, sauce, tomato, lettuce, etc. Good portion size as well. 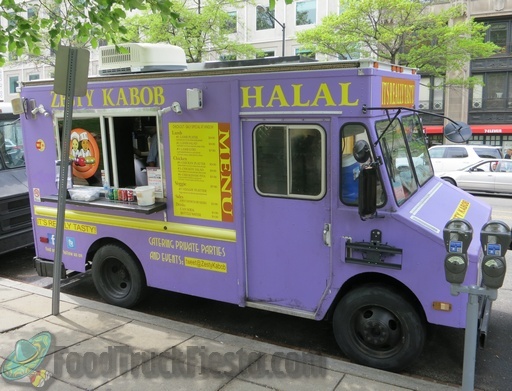 Best of the kabob trucks without question. I love, love, love spinach and when I came upon this truck last week, I noticed they had spinach listed on their menu. It was served with rice and a wild salad. The spinach was so tasty with a hint of heat. I've been back several times and the staff is always friendly! I truly stumbled upon a treasure. I will certainly go back again and often! first timer. despite giving me the wrong side, the meal was quite tasty. not really lamb kabob, but gyro meat cut into chunks. both the lamb and chicken were tender and not dry. the sauce on the meats was fantastic. the rice was good, but needed something (onions?). then again, maybe it was because i ordered it mild. i could easily have split this into two meals. i will definitely try this one again. Zesty Kabob is awesome! They always make sure to get your name and are really fast and efficient! Their food is soooo good! I've gotta get my hands on that Tzatziki sauce recipe!!! I loved it and would recommend it to anyone who loves fresh, zesty food! I ordered a combo platter and I just want to say that it was the best $10 I have ever spent. I got lamb and chicken over rice with a side of chickpeas and wild salad. Lamb was tender and juicy and chicken was just marinated perfect. Chickpeas were delicious and the wild sale was fresh iceberg lettuce with red onions and nicely diced tomatoes and black olives and feta on top. I asked for spicy and the spicy sauce with the sauce on top just took everything to a different notch. I recommended to my co workers and now everything we see Zesty we stay in their line to get our favorite food. I want to say lots of trucks in DC tries to sell the same food but they don't get anywhere close to zesty. 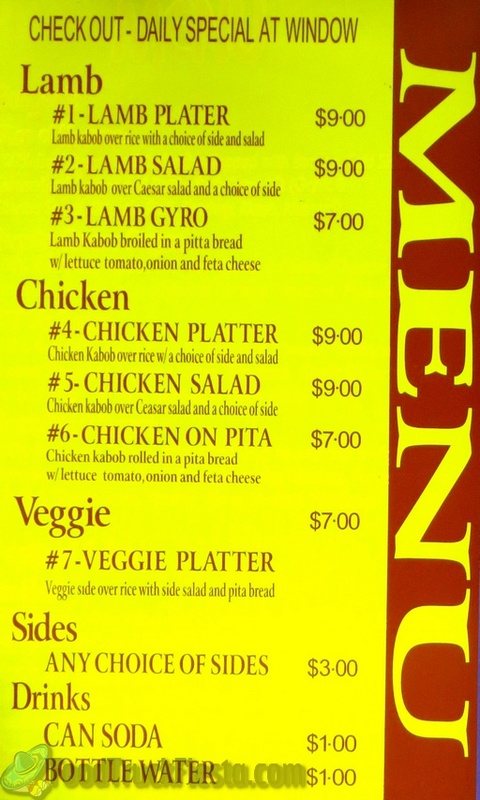 Zesty Kabob launched at the end of 2012, but hasn’t been tweeting locations very often.